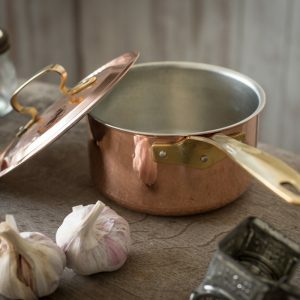 A copper casserole that’s lovingly crafted for cooking – and hand finished beautifully for serving at your table. 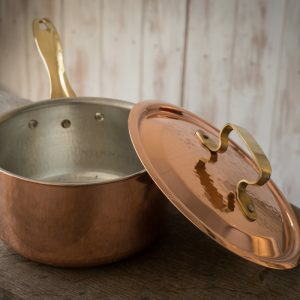 Tanucci copper cookware gives you the essential elements of premium copper cookware. 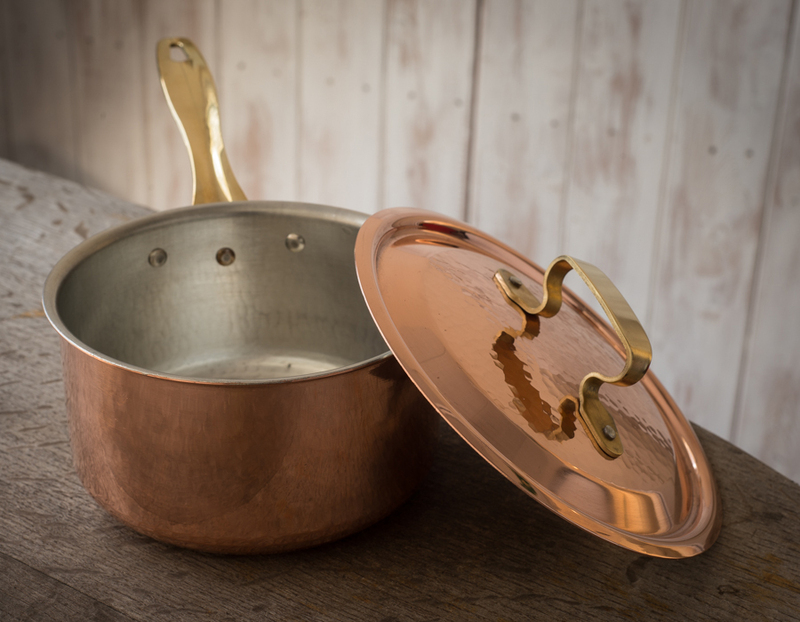 Hammered by hand, it is then tinned over an open fire by hand. 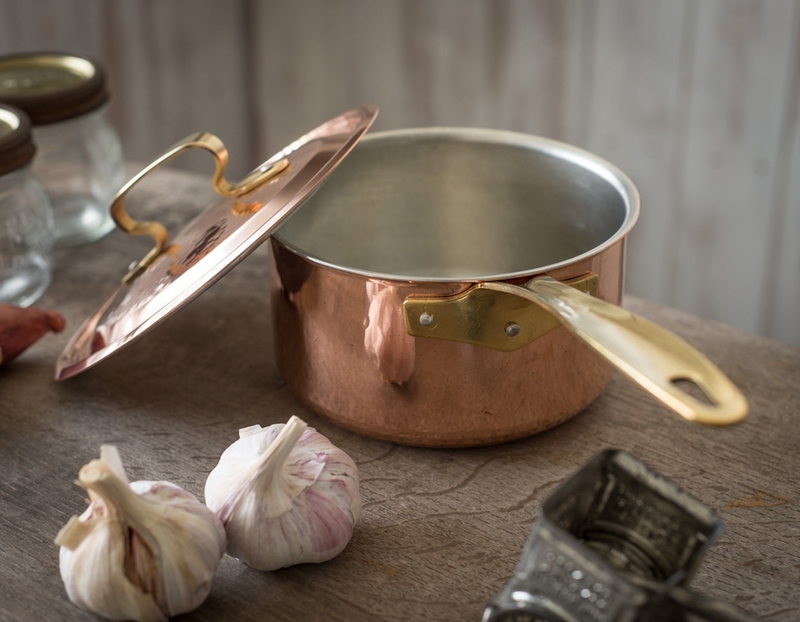 The handles are crafted by hand from solid cast brass, and the fastening rivets are handcrafted from stainless steel. 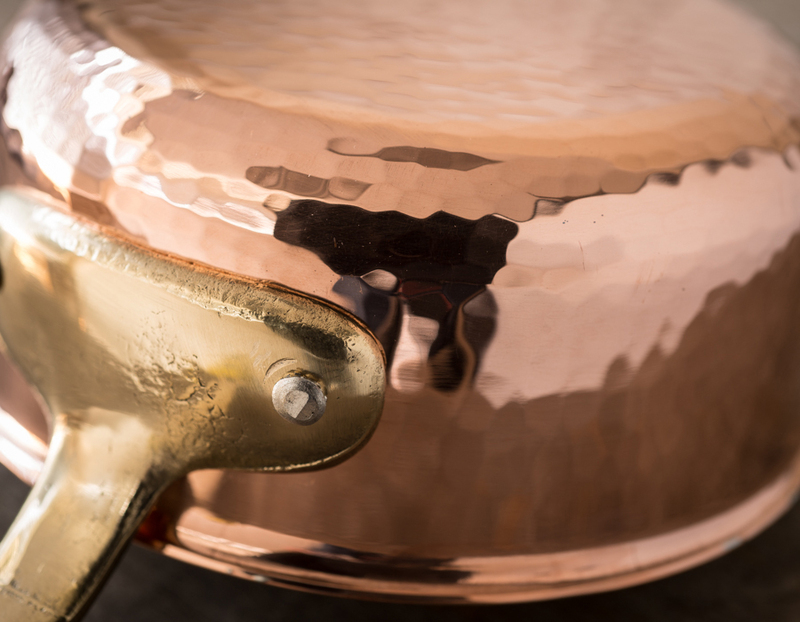 The artisan Tanucci family follow the ancient traditions of the Marche school of copper cookware craftsmanship. 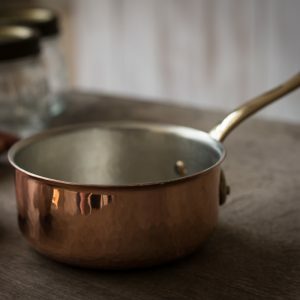 The material of choice for chefs, copper conducts heat far more effectively than other materials, enabling you to regulate temperature perfectly and distribute heat evenly from the base of the pan to the sides. 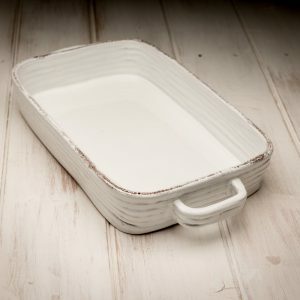 So you reach the ideal temperature quickly, and avoid hot spots or burning. 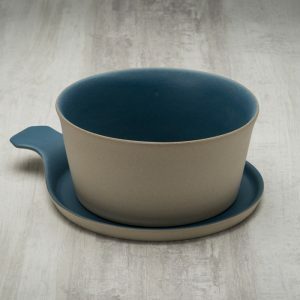 Discover the passion that Tanucci invest in every one of their creations. 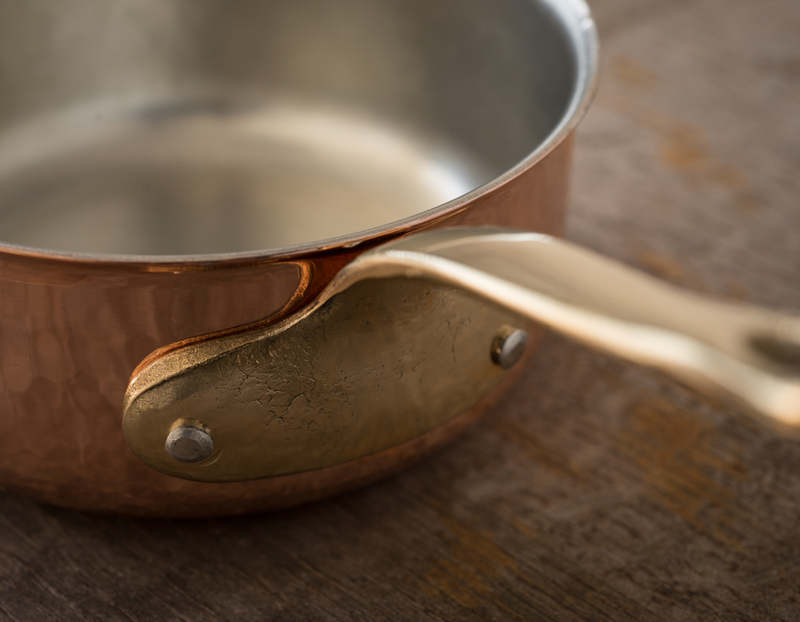 When you first use your copper cookware, we recommend that you boil some water in it. 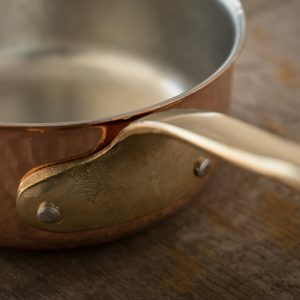 The simplest and safest way to clean copper cookware is to wash with warm water and washing-up liquid. 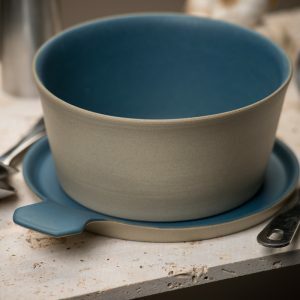 Don’t use abrasive sponges or metal ladles because they can scratch the pot. 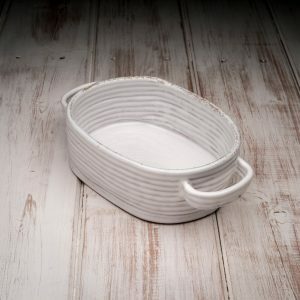 Use wooden or plastic utensils. 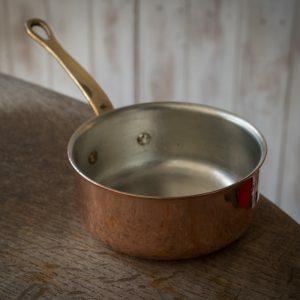 If you burn food, or if residue is stuck to the base, soak your cookware in hot soapy water for as long as necessary to dissolve the deposits. 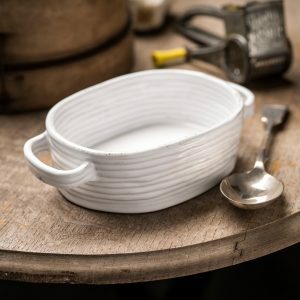 High temperatures, salt and acidic foods such as sauces, citrus and wine can darken the surface – but this doesn’t affect performance, the taste of food or the hygienic properties. 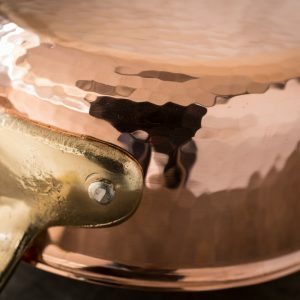 Widely available copper-specific detergents can be used on the outsides of your cookware. 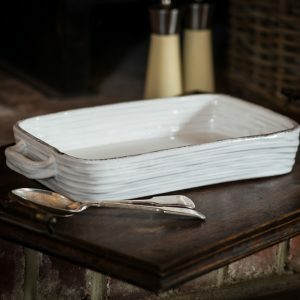 Alternatively, follow a natural process, using a sponge soaked in a mixture of vinegar and salt.